Sheep is an expert at protecting sheep—or so she thinks until one happy afternoon when she bumps into a very hairy someone on the farm. And it's Sheep Dog who saves the day! For fans of Goodnight Already! by Jory John, You Will Be My Friend! by Peter Brown, and Little Blue Truck by Alice Schertle, this hilarious and tender friendship story proves that even the best watchers must look out for one another. Eric Barclay grew up in a small Texas town, where he spent plenty of time playing outside, reading, drawing, and writing. He also enjoyed childhood summer visits to his grandfather’s ranch, which meant helping with cows and riding around in the back of a pickup. Years later, Eric hung up his overalls and graduated from a big city university, where he studied journalism and graphic design. Now he writes and illustrates books for kids, which allows him to occasionally enjoy the outdoors again. 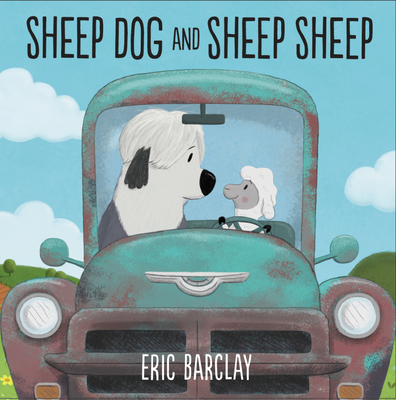 He is the author-illustrator of Sheep Dog and Sheep Sheep, Hiding Phil, I Can See Just Fine, and Counting Dogs and the illustrator of My Pet Wants a Pet by Elise Broach. He lives in Texas with his wife, two daughters, one dog, two cats, two mice, and five fish. You can visit him at www.ericbarclay.com.